1. What is the assignment? 2. What is your central point or main argument? 3. What concerns you, or what do you want me to pay careful attention to? Bruce and Rafoth, the authors of ESL Writers, mention that some ESL writers may not be comfortable in this exchange and may want the tutor to take the lead. In my limited experience, all writers have been happy to engage in this conversation. They are willing to be actively involved in negotiating a plan, and I suspect this is because I spend the time up front getting to know them and helping them feel comfortable. Sometimes our initial plan takes a detour. I’ve tried to be aware of when this happens and talk over our original plan and time constraints to make sure we are still addressing the writers most pressing needs. When I work with writers, no matter who they are, we spend a substantial amount of time reviewing the assignments instructions. The arrangement of a session is so much easier to structure when the writer arrives with the assignment sheet, or the instructions are available to us on Canvas—the college online learning management system. Unfortunately, this isn’t always possible and when this circumstance occurs determining the parameters of an assignment is more of a challenge. If the writer self describes their assignment the discerption of the instructions are generally vague. If possible, I will access Internet sources for a more detailed set of instructions. I will do this even if I know the genre, so the writer realizes this option is available to them as well, if they are questioning the instructions, or need more information. Another method that works well for both native speakers and ESL writers is using visuals to convey information. I have used this technique when addressing structure and organization. Mapping out an assignment on paper and talking through Introduction, thesis, body paragraphs, topic sentences and conclusions works well. It helps students think through their ideas, and helps them to see where the strengths and weaknesses of their own information is and what they need to work on next. One tutoring method that I believe is generally ineffective is when corrections are made to a writer’s assignment by the tutor themselves with little or no explanation made to the writer. So far, I have written about tutoring methods that I have used with both native English speakers and ESL students. After all, as college students and writers we are all English language learners, aren’t we? There are however, some aspects of English writing that I’ve noticed are more challenging for ESL writers. (That’s not to say that we native speakers don’t struggle with these issues as well, but they seem to be consistent among a majority of ESL students.) Understanding the basics of writing is one of these issues, and clarity related sentence structure (aka: English grammar) is another. In the short time I have worked in the Student Writing Center, I have spent a substantial amount of time explaining the basic layout of an essay, rhetorical strategies, when to use “I” in a paper, bibliographies and in-text citations. Frankly, the best way I have found to address these issues is to turn to a resource that I myself use frequently—the Internet. Looking up various issues online with a student accomplishes two things. 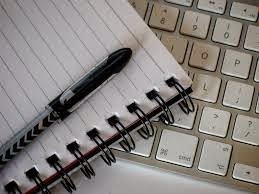 First, it shows the writer how they can use the Internet to troubleshoot various issues when they arise while writing. Second, it gives them a written explanation that they can refer back to when necessary. I have found Purdue OWL: Online Writing Lab to be particularly helpful. Purdue OWL also has an extremely informative section on sentence structure and English grammar specifically for ESL writers. During this semester, I’ve surfed the Internet for ESL grammar websites and helpful ESL writing YouTube videos. It’s been a long time since I’ve had to articulate English grammar rules and viewing these resources has refreshed my own memory and also given me some great resources to pass on to the writers I tutor. Purdue OWL has an expansive ESL student section. This section highlights not only frequent grammar issues, but also issues regarding culture, audience, plagiarism and basic writing tips. Anglo-link is also a great YouTube video series, which explains numerous English grammar rules and takes into account common issues and concerns for non-native language learners. Grammar seems to be on the mind of most ESL student writers; however, cultural differences also frequently come into play. Many students find that some of the papers we write in English and the topics that we write about clash with what and how they wrote in their native countries. Writing papers that are critical of the government for example would not be tolerated in some cultures, yet those papers are commonplace here in the United States. Talking through issues such as this with non-native writers is very important. It’s become apparent to me that the conversations around writing that happen in tutoring sessions are extremely important. It doesn’t matter whether the writer is a non-native speaker or a native speaker—communication is the key! It’s only with good communication that a tutor has enough information to truly collaborate with the writer about her or she needs. And it is only with good communication the tutor is able to deliver information in a way that is understood by the writer. Again, it is only with good communication that the writer lets the tutor know their discussions are informing him or her in a useful way—a way that moves them forward in their writing process. Holly, I agree with you. Engaged discussions about writing are important! How else can a tutor help a writer if no communication takes place? In my sessions, I have noticed that discussion about concepts helps both me and the writer understand. The writer would explain to me what s/he thinks and I would be able to respond effectively. Very thorough! I like the way you model strategies by looking up information on the Internet and letting students know about valuable resources like the Purdue OWL. I need to check out all the sites you've mentioned. Regarding your comment about spending a lot of time explaining the basic layout of an essay, rhetorical strategies, etc., I imagine it's extremely helpful for an ESL writer to hear this information delivered in a one-to-one meeting with a friendly peer tutor. ESL writers might have a harder time keeping up with class lectures and be more hesitant to ask questions, particularly if they have a lot of questions to ask. The SWC seems like an especially valuable instructional supplement to traditional classroom learning for ESL writers (and NES writers whose learning style doesn't fit well with traditional classroom methods).